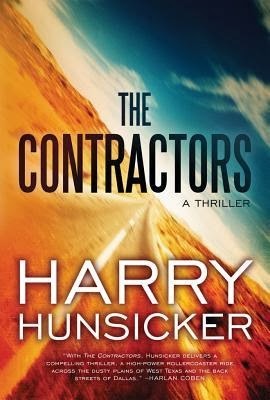 Goodreads: Private military contractors. They?re not just for foreign wars anymore. Jon Cantrell, a disgraced ex-cop, works for one such company. He's a DEA agent paid on a commission basis, patrolling one of the busiest drug-hubs in the country: Dallas, Texas. When Cantrell confiscates the wrong shipment of drugs, he finds himself in possession of a star witness in a cartel trial that could destroy the largest criminal organization in the hemisphere. To turn a profit, all he has to do is deliver the witness to the US Attorney in a tiny town called Marfa on the other side of the state. An easy trip, except a group of competing DEA contractors and a corrupt Dallas cop want everybody involved dead. This heart-stopping thriller takes listeners deep into a strange underworld where the lines between government officials and mercenaries blur. In this complex network of drug traffickers, cartels, politicians, and police, no one's hands are clean. Kritters Thoughts: The main character is Jon Cantrell and he is a former Dallas police officer who came from a family of police officers, but he had a run in with some higher ups and has been out of a police uniform for awhile. Instead he has been a contractor working job to job for the DEA in many different aspects, but this is definitely not anything consistent. But is something consistent what he wants? Most of the story is told from Jon Cantrell's perspectives, but there are a few chapters and moments that are told by others involved. Thankfully the author did a great job of giving the reader enough information to know who was taking the lead on the story. The one thing that was really hard to get was who was on what team and if they were real DEA or contractors and if I trusted them at all - I just wanted a definite bad guy and good guy, but I have a feeling that was the heart of the story. I was definitely middle of the road on this book. I think readers who enjoy a political thriller with some bloodshed and some mystery as to who is involved and to what extent, this one would be right up their alley.